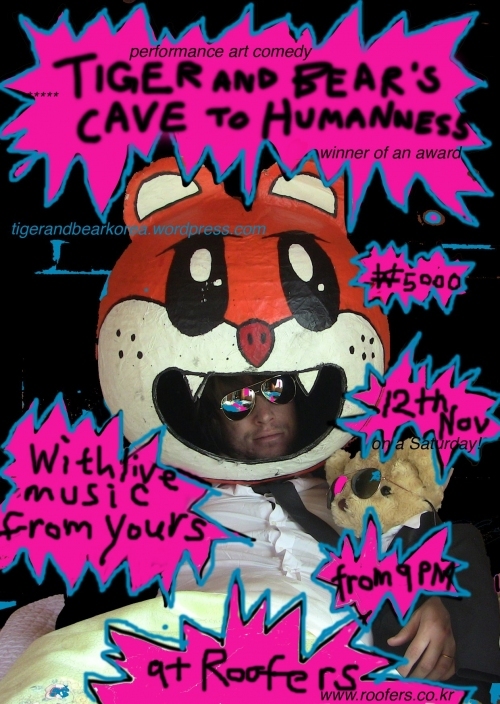 On Saturday November 12 from 9 P.M to 12 at Roofers in Itaewon, the award winning British artist duo Tiger and Bear present to you an evening of comedy performance art entertainment with Tiger and Bear’s Cave to Humanness. The wildest performance art game show you’re ever likely to experience this year. You’ll laugh, cry and probably cringe and if you’re feeling adventurous, you might dance, sing and ddong chim. With special Tiger and Bear personalized art prizes to be “won,” guest appearances from Robot Taekwon V and Mazinger Z and live music from super cool brilliant band Yours, it’s a night you’ll want to tell your grandchildren about when you’re really old and suffering from dementia. 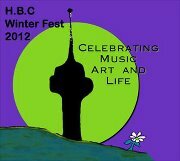 Go to event page here.